The Akwa Ibom State Governor, Gov. Udom Emmanuel, has made an inspection visit to some drainage construction sites under construction in Uyo, aimed at addressing challenges of flooding. The development is coming in response to recent flooding in Uyo, the capital of Akwa Ibom State in south-south Nigeria, as a result of heavy rainfall in the city. It is one of the efforts that the Governor is making to ensure good drainage system to also reduce erosion in some areas of the state. 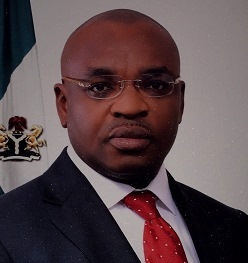 Governor Emmanuel reiterated in Uyo on Tuesday that his administration was poised to alleviate the suffering of the people, stressing that the drainage construction would be completed soon. He assured the residents and motorists in the city that the hardships they face on the roads would soon be a thing of the past. In response, the Area Manager of Julius Berger, the construction company handling the project, Peter Reinfenstu, promised to deliver on the project in the next four months. Last month, Governor Emmanuel called on the Federal Government to rehabilitate the Calabar-Itu Road, so as to save it from gully erosion which is seriously threatening its existence. The Governor made the call while inspecting one of the erosion sites along the road which is a Federal Road and the only major link between Akwa Ibom and Cross River States, as well as a gateway to the north.